This was contained in Buhari’s authorised biography, ‘Muhammadu Buhari: The Challenges of Leadership in Nigeria’, written by Prof. John Paden and presented to the public on Monday. An online dictionary defines “off-budget funds” as funds not provided for or included in the regular Federal Government budget; funded by sources other than the federal budget. In the ongoing anti-corruption war of the present administration, the Economic and Financial Crimes Commission had arrested and quizzed many of Jonathan’s former ministers and aides for alleged diversion of funds. Most of them, including the former National Security Adviser, Col. Sambo Dasuki (retd. ), are being prosecuted for allegedly diverting funds meant for arms procurement and using the funds for the prosecution of the 2015 presidential election in favour of Jonathan who was the candidate of the Peoples Democratic Party. It is generally believed that the former government officials could not have spent the funds in question without Jonathan’s instructions. The author captured the travails of the former office holders in Chapter 20 of the book, which is titled ‘Corruption and law in military procurement’. Under the subheading, ‘The role of PDP leaders in the diversion of funds’, Paden said although the letters, written by the former President, were in Buhari’s possession, the President’s purpose of waging the corruption war was not to jail former top government officials but to retrieve the stolen funds. He said the stability of the nation’s political system seemed to be at stake if the EFCC should go after Jonathan or any former President or military leader for that matter. He, however, said such former Nigerian leaders could trade their knowledge for immunity and help the government identify patterns and sources of corruption. Paden added, “The fact that Buhari was enlisting the help of international community in the probes lent weight to the seriousness of his effort – and also meant that alleged offenders had nowhere to hide. “Would the trail lead to former President Jonathan himself? As of the early months of 2016, it appeared that the EFCC was not going after Jonathan. Nor was it going after former President Obasanjo. “The question of the stability of the entire political system seemed at stake. “In addition, a number of senior military officers, who had served as Heads of State – from Babangida to Abubakar – seemed off-limits. “Indeed, rumours swirled that if the probes went after senior officers, they might push back because they had extensive networks in the active military services. “At the same time, the knowledge such heavyweights possessed could well be traded for immunity and would help to illuminate the patterns and sources of corruption. 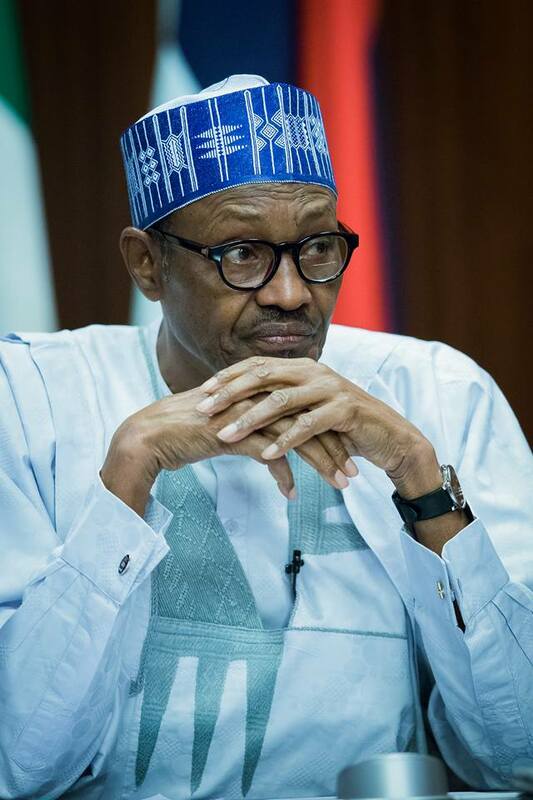 “Buhari had letters in his possession showing Jonathan’s requests for off-budget funds. But Buhari’s larger purpose was not to put former high-level officials in jail. Meanwhile, the author also revealed that a total of 184 civil servants were disciplined for their different roles in the padding of the 2016 budget. Of the 184, Paden said 22 top officials were dismissed from service. He said the President viewed the padding as an attempt to scuttle his administration’s innovations, hence his decision to wield the big stick against the culprits. The author wrote, “Buhari himself was frustrated by earlier padding of the budget by bureaucrats in some of the ministries. “This was interpreted by the Buhari team as an attempt to scuttle the innovations proposed by the President by inflating their costs. “When Buhari found out, he was reported to be angry and ordered a purge of the ministries involved from the Director-General down. He added that even after the budget had been adjusted downward by the National Assembly, the country would still have to borrow $3.5bn, as a result of the drop in oil prices. In February, Buhari had while addressing the Nigerian community in Saudi Arabia, vowed that all those involved in the padding of the 2016 national budget, which led to the discrepancies in the document, would face severe punishment. He had said the alterations, which he described as embarrassing and disappointing, made the document, being debated in the National Assembly at that time, completely different from what was prepared by the Ministry of Budget and National Planning. Describing those responsible for the distortion of the budget proposals as entrenched interests, the President had said since he had been holding public offices, he had never heard about budget padding before the incident. Buhari had added, “The culprits will not go unpunished. I have been a military governor, petroleum minister, military Head of State and headed the Petroleum Trust Fund. “Never had I heard the words budget padding. Our Minister of Budget and National Planning did a great job with his team. “The minister became almost half his size during the time, working night and day to get the budget ready, only for some people to pad it. Reaffirming his government’s zero tolerance for corruption, Buhari said the war against corruption was a monumental task that he was determined to tackle successfully.